FIND A COTTMAN LOCATION NEAR YOU! Your nearby Cottman center’s technicians know all about the latest transmission control systems, and they know how to weed out those external problems that can seem like a bad transmission. Which means, when you bring your all wheel drive transmission problem to your local Cottman center, you’ll never pay for a new transmission unless you really need one. That’s our promise to you. These problems could indicate that you need transmission service! Should your check engine light come on, it is important that you have it diagnosed immediately. In today’s cars, the computer monitors every system in the car and will turn on the check engine light when it detects a problem. That problem can be engine related, but it can also be a problem with the transmission, the fuel system, or the exhaust. When the computer senses a problem, it will set a code and revert to a limited operating condition. This means that your car will burn more gas, pollute the air a little more, and the transmission may not shift correctly.If you bring your car into your local Cottman Center, they will perform a FREE TransCheck 21 PLUS® Service with a FREE computer scan. Armed with the result of the TransCheck and computer scan, your Cottman Technician will know what it will take to fix your vehicle. Having the proper amount of transmission fluid is essential to the normal operation of your car’s transmission. Transmission fluid has three main purposes: to transmit power, act as a heat exchanger, and lubricate. A transmission that is leaking fluid can have an adverse effect on any or all of these functions. So, as soon as you detect a leak, it is important that you have the vehicle inspected to determine the source of the leak. Cottman’s TransCheck 21 PLUS® Service will do just that.Cottman’s FREE TransCheck 21 PLUS® Service will help you identify the origin of the transmission leak. This service is important because a transmission can leak from any one of nine to eleven external areas, many of which are considered minor. We also know that where a transmission leaks from and where it drips can be two different areas. Leaks may be caused by problems other than seals. Leaks, many times, DO NOT indicate a serious problem. On the other hand, leaks may be the result of a more serious mechanical failure. An inspection by a qualified technician is the best way to tell. The important thing is to get those leaks stopped as soon as they become apparent, or major trouble is almost sure to follow.Cottman’s Free TransCheck 21 PLUS® Service includes a road test and external examination of your transmission, where we will evaluate the performance and condition of your vehicle’s transmission, and determine what services, if any, are required. If your vehicle will not move or if you are afraid to drive it any further, having it towed to your nearest Cottman Center is the most prudent thing to do. Vehicles stop moving for a variety of reasons so having your Cottman representative arrange to have the vehicle towed in and evaluated with our TransCheck 21 PLUS® Service is the first step. The good news is that the TransCheck 21 PLUS® Service is FREE and, in most cases, so is the tow.Why have your vehicle towed in to a Cottman Center? Because the first thing we will do is identify why the vehicle stopped. We will check for proper fluid levels, make certain that all linkages and cables are connected, evaluate the electronics, and then make our recommendations for service. Those recommendations could range from an adjustment to replacing external parts to an internal inspection. If an internal inspection is required, your Cottman representative will, at that time, give you the price of a soft parts overhaul. However, because of the complexity of most late model vehicles, it would be unwise to condemn the transmission before it is evaluated. You put the selector into the appropriate range and begin to move forward. Suddenly, you feel the engine racing and the transmission lagging behind. We see this symptom quite often but what is difficult to determine is what is causing the transmission to slip. Transmissions slip for a variety of reasons, including low fluid level, poor vacuum or a misadjusted or defective shift cable. When you are faced with this type of symptom, it is best to have it checked out by the professionals at Cottman. Erratic shifting is a relatively common symptom that your Cottman representative sees on a daily basis. Years ago, before transmissions became more complex, evaluating a vehicle that was shifting erratically was a relatively simple process. However, with the introduction of electronics, it requires the expertise of a trained and qualified technician. 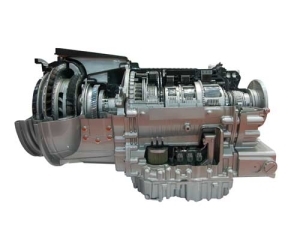 A transmission that is acting up can only be thoroughly evaluated by performing Cottman’s TransCheck 21 PLUS® Service. This FREE service will provide you and our personnel with the information needed to make a proper diagnosis.As transmissions today are more complex, it is important not to condemn the transmission solely on the basis of the symptom you feel. Many times our customers call with what appears to be a serious problem and it turns out to be something simple. Low fluid level, cable adjustments, and electronics are just a few of the areas that need to be checked. Your Cottman representative, along with his staff of trained technicians, will use the latest computer technology to determine the exact cause of the erratic shifting. Have your transmission serviced at Cottman! Do you need to have your transmission serviced? If you’re in need of a transmission flush, we are your local experts! We specialize in all types of transmission applications.